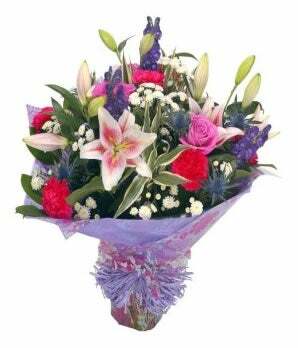 A gloriously colorful hand-tied bouquet containing mixed flowers in bright colors including Lilies, Roses, Carnations, and Mums. Sorry, there are no related products for this item. Please go back to Same Day to view more products.